Do you love ice cream? I do. I was raised in a household with a self-proclaimed “ice cream-aholic.” As a child we would make ice cream in the summer but it never lasted for very long in the freezer. My favorite flavors have always been mint chip, strawberry and coffee but I tended to stay away from the “boring” chocolate and vanilla. 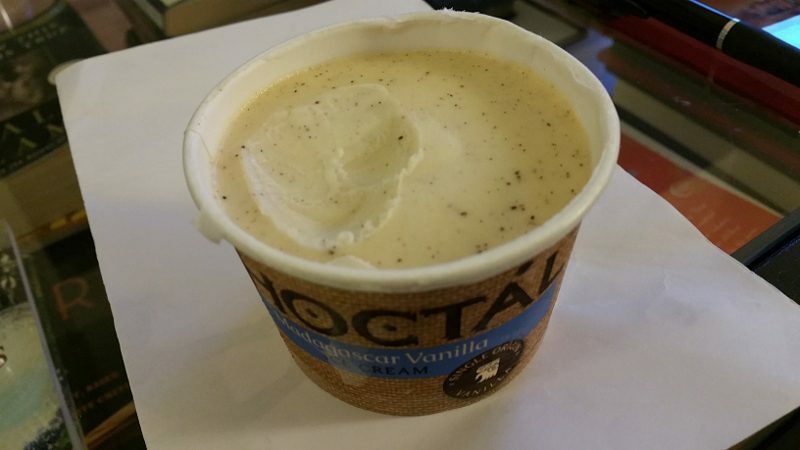 Well, chocolate and vanilla ice cream are no longer “boring” with Choctal single-origin ice creams sourced from around the world. This is the same concept of single-origin that has been applied to coffees and chocolate bars. 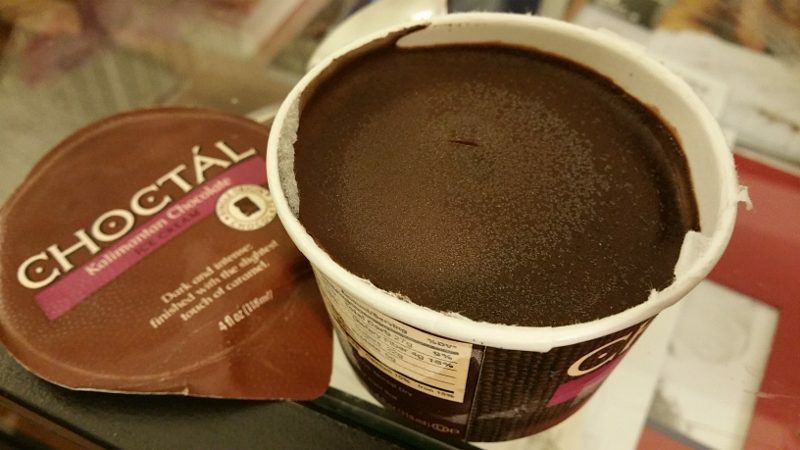 Choctal focuses chocolate and vanilla using cacao beans and vanilla beans from different growing regions. The beans grown in one particular area or region have distinctly different characteristics due to the soil, micro-climate, seasonal growing conditions and processing. With four chocolate and four vanilla flavors, how do you pick one? It might not be so easy. My suggestion is to buy them all and have a little of each, side by side. Perhaps you will have a favorite but perhaps you will appreciate a different element for each one. Ghana, the lightest in color, is more like milk-chocolate (it is dark chocolate though). It is rich with hints of tropical fruit and sweet fudge. Costa Rican, the second-lightest in color, has notes of coffee and caramel. Dominican, is one of the darker ice creams but is creamy and ganache-like, with notes of mocha, licorice, nutmeg and cloves and a long finish. Kalimantan, the darkest color, there are hints of caramel. Mexican – The complex sweet and spicy characteristic of classic Mexican vanilla is enhanced with the slightest added touch of cinnamon, unlocking a hidden note of coconut on the back of the palate. Papua New Guinea Extracted from plump, flavorful, finely cured beans, the ice cream is slightly fruity with notes of cherry that linger on the palate during a long lush finish. Indonesian – full-bodied flavor marries this exotic touch with the creamy sweetness of classic bourbon vanilla. Madagascar Elegant, smooth, and intensely creamy, this ice cream combines pure bourbon vanilla and flakes of vanilla beans. 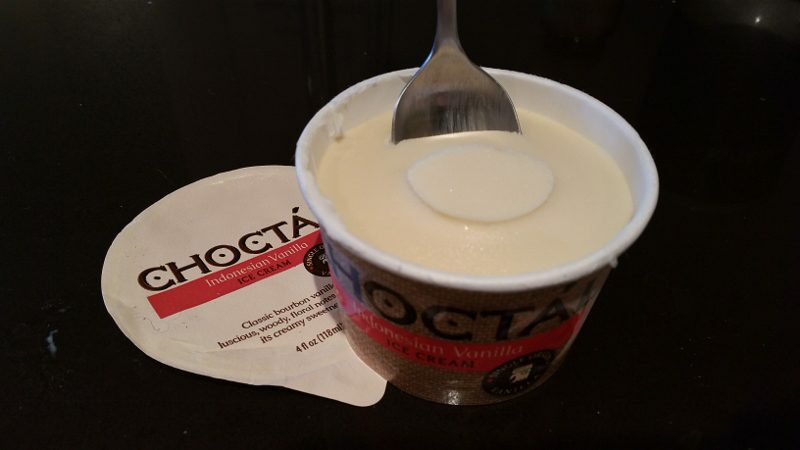 It’s rich, complex and long-lasting classic vanilla flavor is utterly seductive. 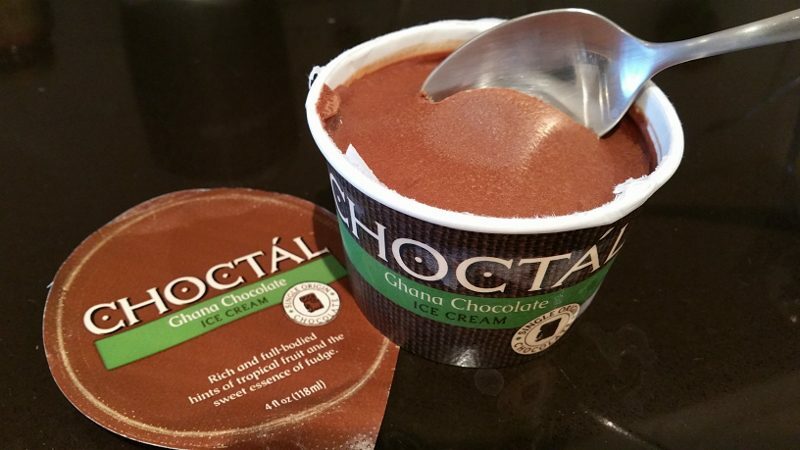 No matter which flavor(s) you like, the best part is that Choctal ice creams are all-natural and contain no artificial additives, eggs or gluten and have more chocolate or vanilla than most ice creams. 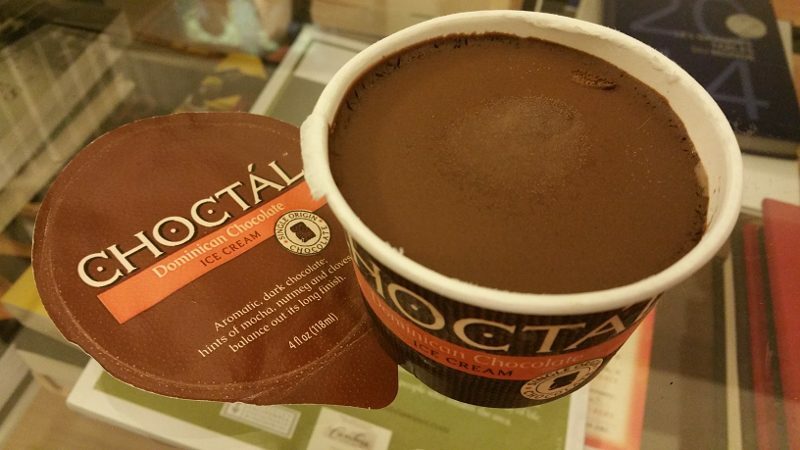 Choctal is about flavor and if you like ice cream, you will love Choctal. 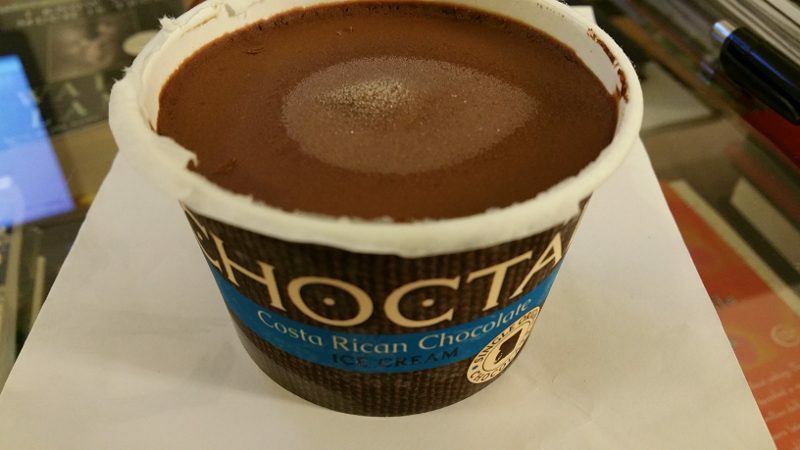 Choctal is available in many markets, such as Bristol Farms and Gelsons. 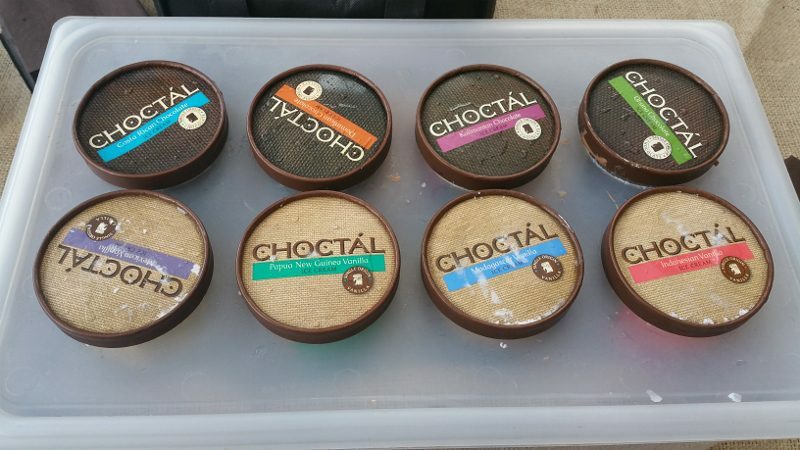 Check www.Choctal.com to find a store near you. This entry was posted in Food and tagged chocolate, Choctal, Ice Cream, single origin, single origin ice cream, vanilla by Allison Levine.